8. What kind of website can I build with WordPress? 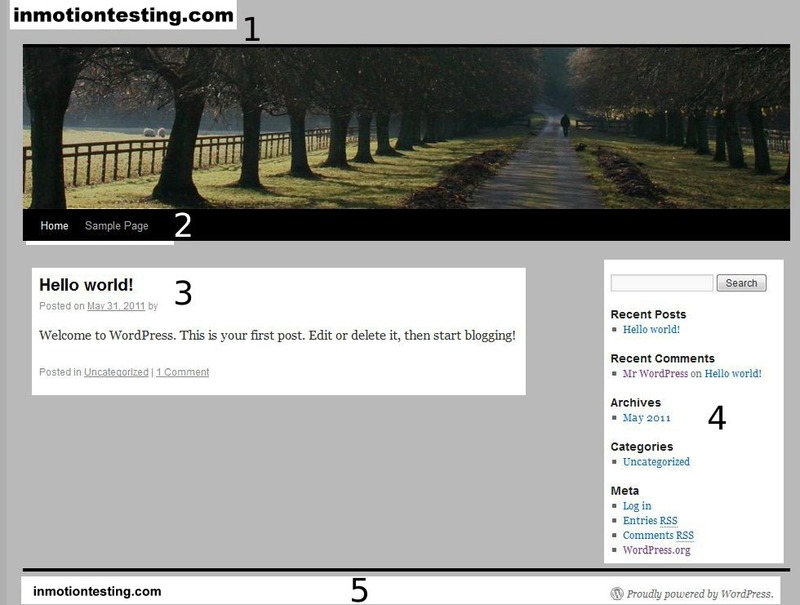 Now that WordPress is successfully installed on your hosting account, you will be able to see the default template displayed. WordPress refers to certain aspects of the website by very specific terms. When digging deeper into WordPress, especially when searching for and using plugins, it will be imperative that you understand the terminology used to identify various parts of the website. This is referred to as the "header" and will display the titles of your website. The "menu bar" of your website will contain links to pages you have created. This is a "post". Posts are displayed in chronological order with the most recent post displayed first. This right hand column is referred to as the sidebar. Widgets are displayed here. This is the footer and is located at the bottom of each page. Each template may be structured or "laid out" differently. If you decide to use a different template other than the "default" your page may look different. Section 8: What kind of website can I build with WordPress? What's Included in Shared Hosting? Explain that what is referred to as "themes" are what more technical people from the old days used to refer to as "templates." THEMES is a very poor choice of wording because its literal definition means a distinct, reoccurring, unifying IDEA, not a STRUCTURAL ELEMENT. I am planning a new website and reading your suggestions.